← Can MDMA make you racist? How does the brain fit into the skull? Announcing a new paper co-authored with David Samu and Thomas Nowotny, published yesterday in the open-access journal PLoS Computational Biology. 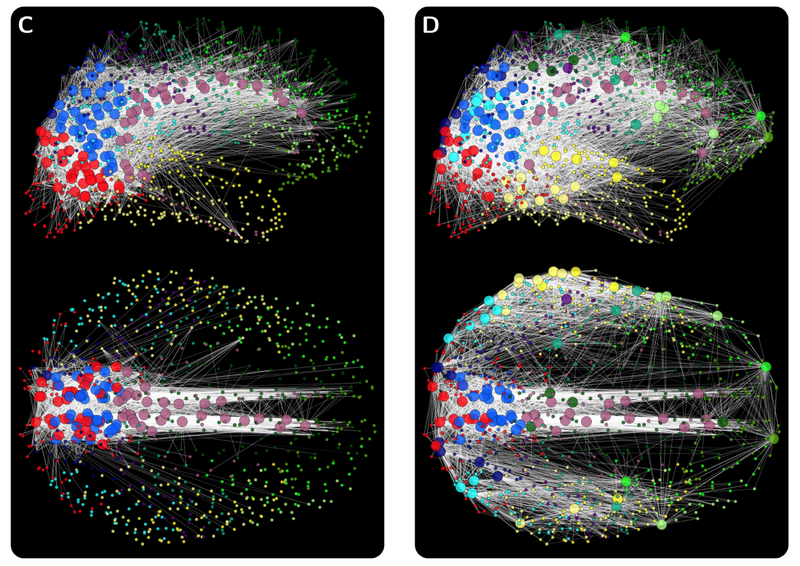 Macroscopic regions in the grey matter of the human brain are intricately connected by white-matter pathways, forming the extremely complex network of the brain. Analysing this brain network may provide us insights on how anatomy enables brain function and, ultimately, cognition and consciousness. Various important principles of organization have indeed been consistently identified in the brain’s structural connectivity, such as a small-world and modular architecture. However, it is currently unclear which of these principles are functionally relevant, and which are merely the consequence of more basic constraints of the brain, such as its three-dimensional spatial embedding into the limited volume of the skull or the high metabolic cost of long-range connections. In this paper, we model what aspects of the structural organization of the brain are affected by its wiring constraints by assessing how far these aspects are preserved in brain-like networks with varying spatial wiring constraints. We find that all investigated features of brain organization also appear in spatially constrained networks, but we also discover that several of the features are more pronounced in the brain than its wiring constraints alone would necessitate. These findings suggest the functional relevance of the ‘over-expressed’ properties of brain architecture. 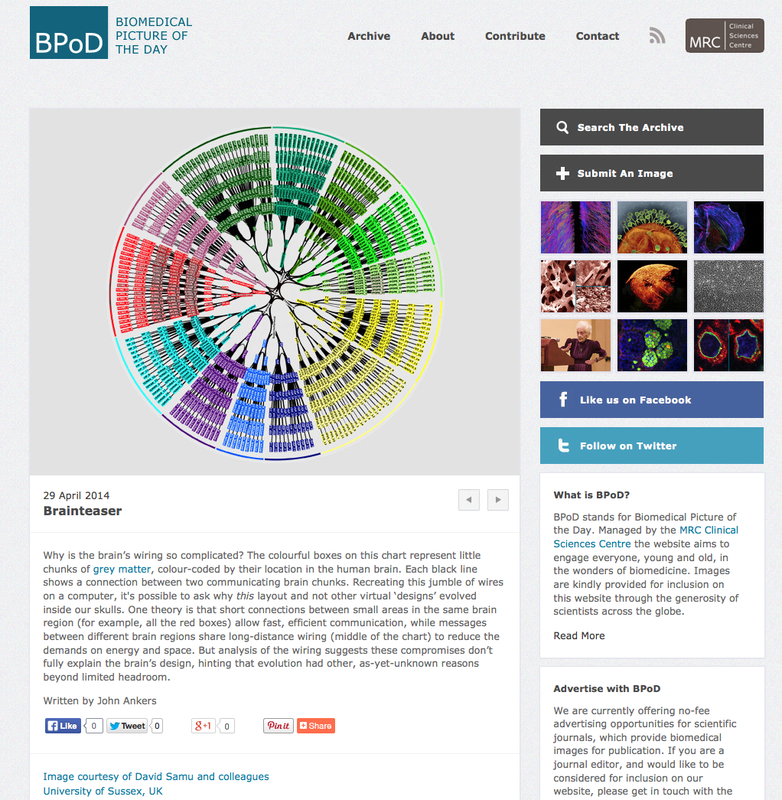 New: Image from this paper featured as MRC biomedical image of the day on April 29th 2014!